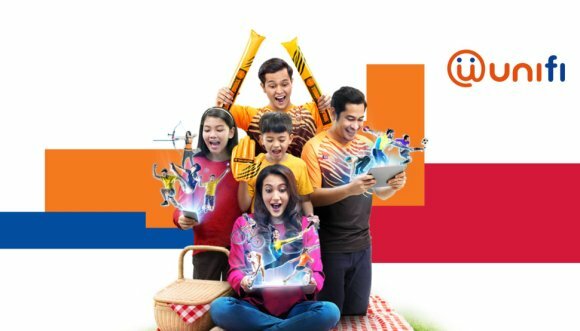 After retracting its RM99 UniFi promo, it looks like TM is introducing a new promo that would definitely put a smile on your face. 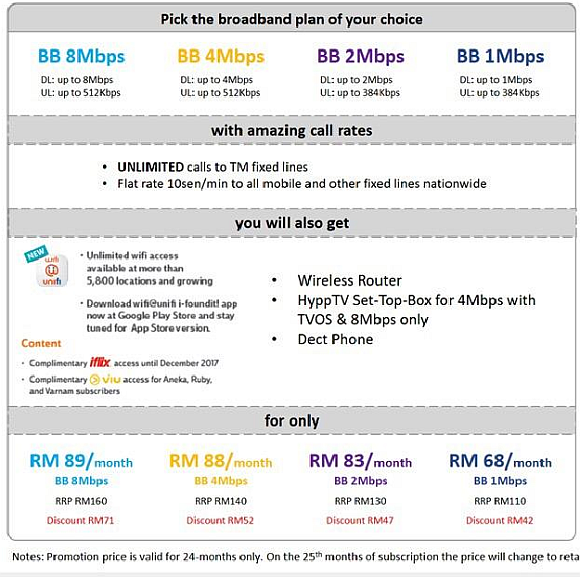 For a limited time, they are slashing its prices not just for UniFi but also for BB (Streamyx) packages as well. For UniFi Advance and above, you’ll get a DECT phone plus a HyppTV Set-top-box with a HyppTV pack of your choice. Meanwhile, Broadband (ADSL) subscribers will get a DECT Phone with unlimited calls to all TM fixed lines. 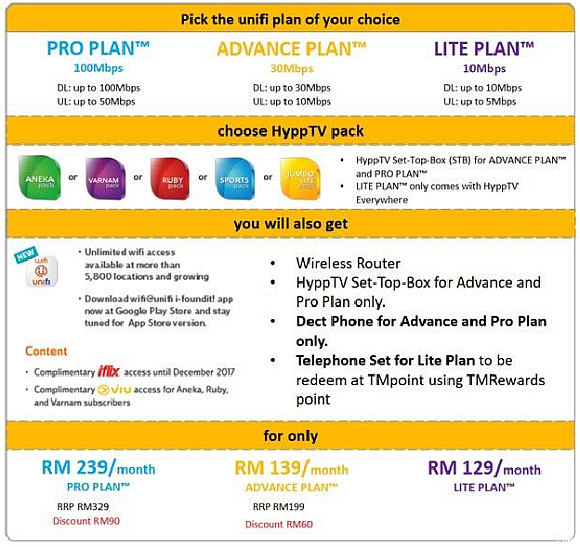 Broadband subscribers on 4Mbps plan and above will also get a HyppTV set-top-box. 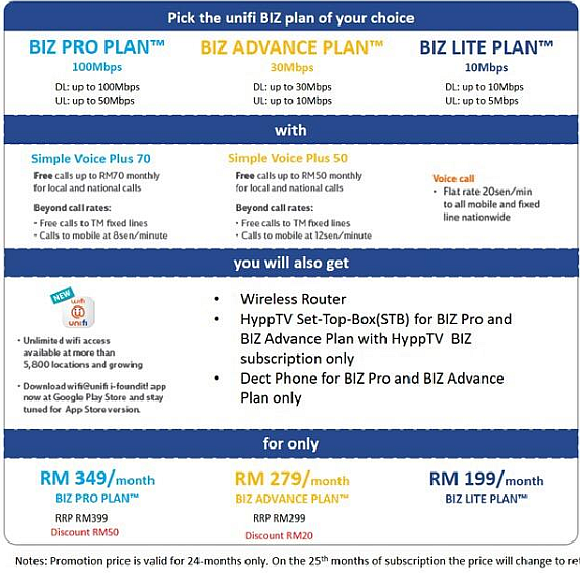 Similar to the RM99 promo offer we saw earlier, the promo subscription fees are only valid for the first 24 months and it is applicable if you sign up by 31 December 2017. Apparently, these details came from a TMpoint in Kemaman, Terengganu and so far we can’t find this on TM’s official channels. What do you think of this new promo? Let us know in the comments below.